Motorcycles are a very popular means of transportation, especially in a state like California where it stays warm for most of the year. However, using a bike to get around also comes with many serious safety risks and riders need to take extra safety precautions to avoid serious accidents. In fact, according to the National Highway Traffic Safety Administration (NHTSA), there are over 4,800 motorcycle accident deaths in the United States every year. Additionally, NHTSA data shows that motorcyclists are involved in fatal crashes around 30 times more often than occupants of motor vehicles. California is one of the nation’s leading states for motorcycle accidents. This is partly because there are nearly 1,000,000 motorcycles registered across the state. However, the rate of crashes is still unusually high, and California sees an average of over 10,000 motorcycle accidents every year. While California has universal helmet laws that help to protect motorcyclists, hundreds of people lose their lives in California motorcycle accidents annually. Drivers between the ages of 25 and 34 are most likely to be involved in a motorcycle accident. About one-quarter of fatal motorcycle accidents involve driving under the influence. Almost 25 percent of motorcycle drivers involved in fatal crashes don’t have a proper license. Under 60 percent of motorcyclists killed in accidents had been wearing helmets at the time of the crash. Head and brain trauma are the most common injuries suffered in motorcycle collisions. Superbikes are involved in collisions more often than other kinds of motorcycles. Motorcycle accidents decrease during winter. Distraction - drivers who text, eat, talk on the phone, adjust their radios, or otherwise take their attention off the road. DUI - drivers who operate their vehicles while affected by drugs and/or alcohol. Moving Violations - drivers sometimes tailgate motorcyclists or force them into a crash by failing to signal before changing lanes or turning. Blind Spots - drivers sometimes fail to check their mirrors before changing lanes. Road Conditions - When a crash is caused by inadequate lighting or signage, large potholes, or other hazardous road defects, government entities who are responsible for keeping the roadway safe may be liable to pay for damages. Defective Parts - If a crash happens because a motorcycle part fails to work properly, parties responsible for making and selling the product may also be liable. If you have been hurt in a motorcycle accident, your injuries can be difficult to recover from physically, emotionally, and financially. 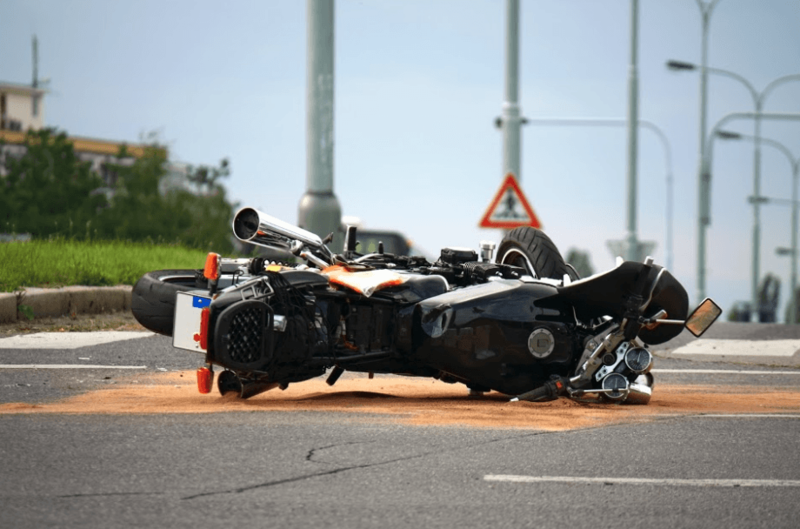 Getting in touch with a Marysville motorcycle accident attorney is a vital step in recovering after a serious accident. Even if you are unsure of whether or not you have a viable injury case, contacting a lawyer is still a good idea. An attorney with ample experience handling auto accident cases involving motorcycles will be able to tell you whether or not you may be able to seek compensation for your injuries and what types of payments you can claim. Additionally, attorneys will usually offer you a phone consultation where you can get valuable info at no cost. I’m Ed Smith, a Marysville Motorcycle Accident Attorney. If a motorcycle collision has left you or someone important to you with serious injuries, call me to get free, friendly advice about the legal options that are available to you. You can call me at (530) 392-9400 or (800) 404-5400. If you prefer, use my website to send me a message. I’m in the Million Dollar Advocates Forum, a U.S. group for top-rated lawyers with past success in obtaining a verdict or negotiating a settlement that had over $1,000,000 in value. My site, AutoAccident.com, is the leading website serving Northern CA for news, information, and statistics about auto accidents and personal injuries.